Look at him. Cute as a button. Just don’t go trying to find him on yours, if you ever decide to pick one of these things up. 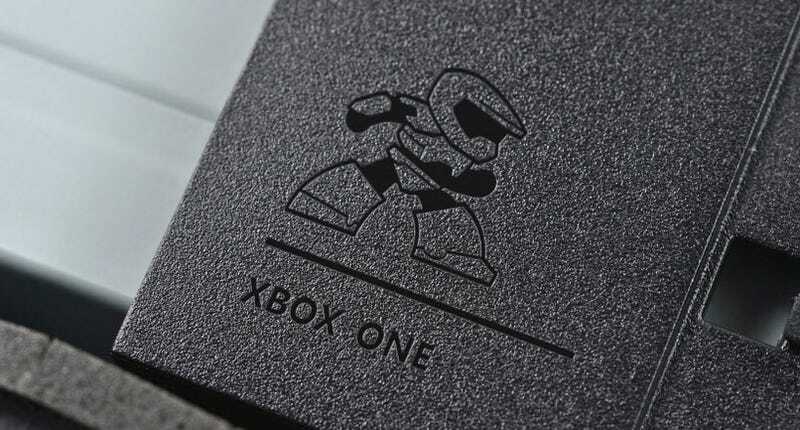 That’s because, just like Sony’s nice little PlayStation screws, Master Chief is inside the computer. He was discovered in this teardown of the new console by Ifixit, etched on the optical disc drive bracket. Here it is in more detail.